They say bespoke is the holy grail of menswear, and every man should try it at some point in their life. But the word ‘bespoke’ has changed as fashion has evolved. A quick search online brings up multiple options, including a bespoke 3 piece suit for just £299. But nothing bespoke beats Savile Row bespoke. The holy grail of english tailoring. In the past, I’ve had shirts made from Savile Row and been impressed. I’ve also bought many ‘made to measure’ garments. 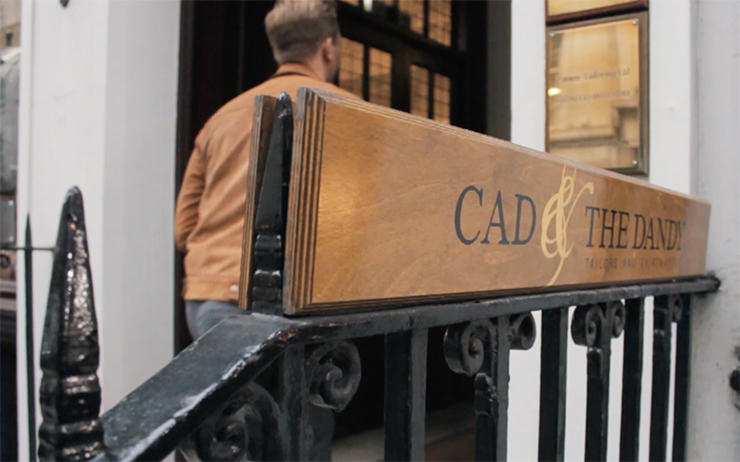 So in dire need for a new pair of wool trousers, I headed to Cad & The Dandy on Savile Row to see what they could advise. 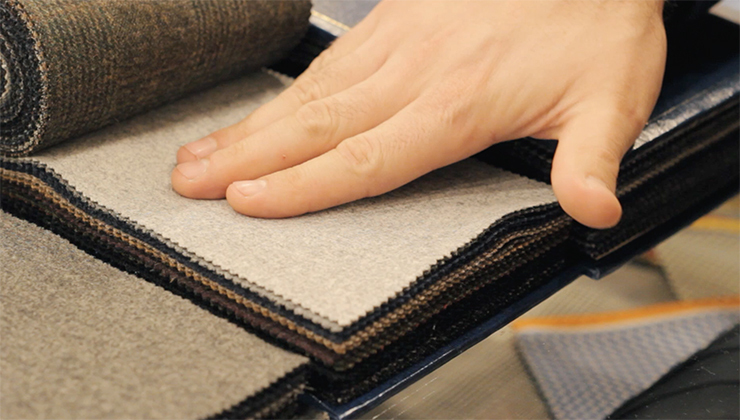 From choosing the right fabric, to the process of bespoke, this article (and video) show you the beginning steps and the end product. 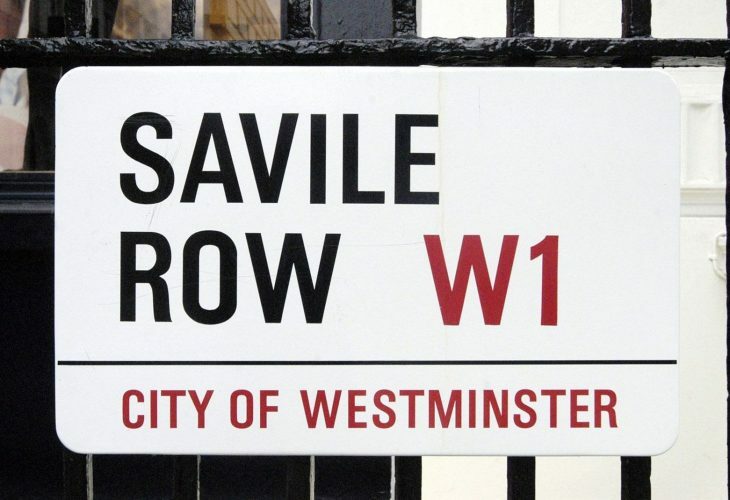 Savile Row is a road in London that every stylish man should’ve heard of. 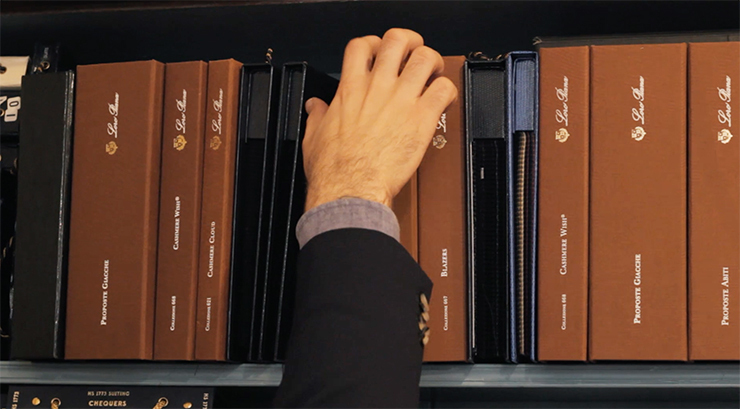 Home to some of the best tailoring houses in the world, it’s also home to some of the best bespoke suits ever made. A brisk walk down the row will leave you feeling inspired, with a wide variety to choose from with smaller tailors such as Cad & The Dandy to more prestigious names such as Henry Poole & Huntsman. 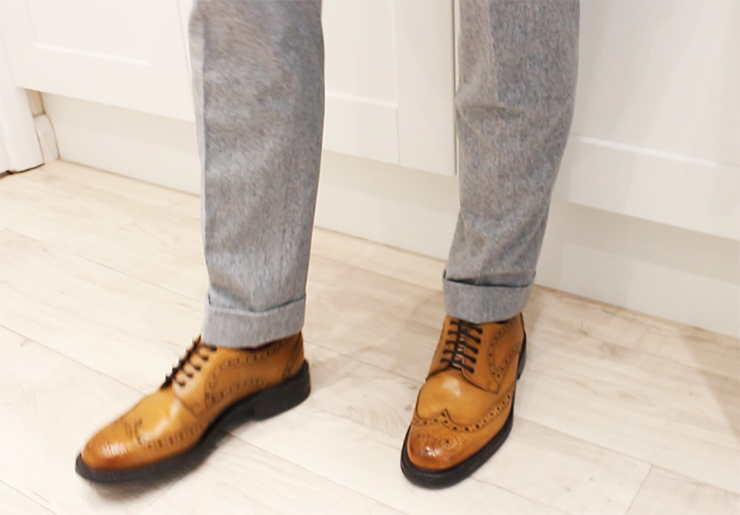 In terms of what you can get, everything from bespoke shoes to complete bespoke 3 piece suits. The options are yours, as long as budget permits. 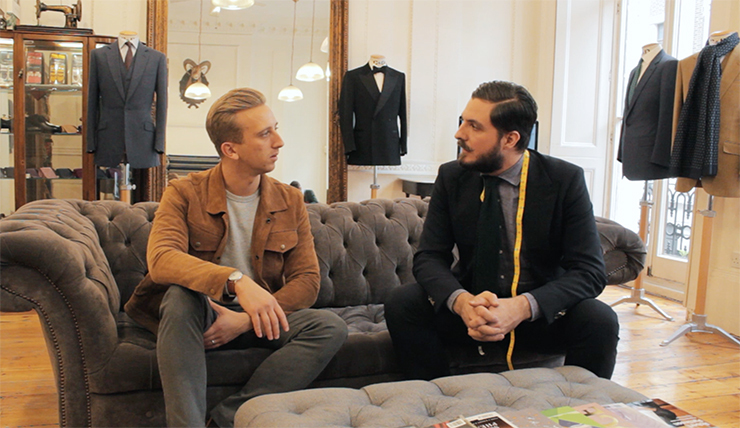 Back in November I decided to take a trip to Savile Row, heading to Cad & The Dandy to get myself some bespoke trousers. With Mikhail there to greet me, I was looking for a comfortable pair of trousers (to rival my go to pair of jeans) that were elegant but versatile. After being greeted by Mikhail, we spent the first 15 minutes chatting (over coffee) about what I was looking for. I explained that I was on the hunt for a versatile, comfortable pair of wool trousers and showed him some pictures for inspiration. After our chat, Mikhail went and picked out some fabrics to choose from. Recommending what he thought would be best, he also explained the differences between them. Even with an interest in menswear, it’s hard to differentiate between one fabric and another so having Mikhail there to explain helped a lot. Weighing up the options, I decided to go for a lightweight grey, flannel. 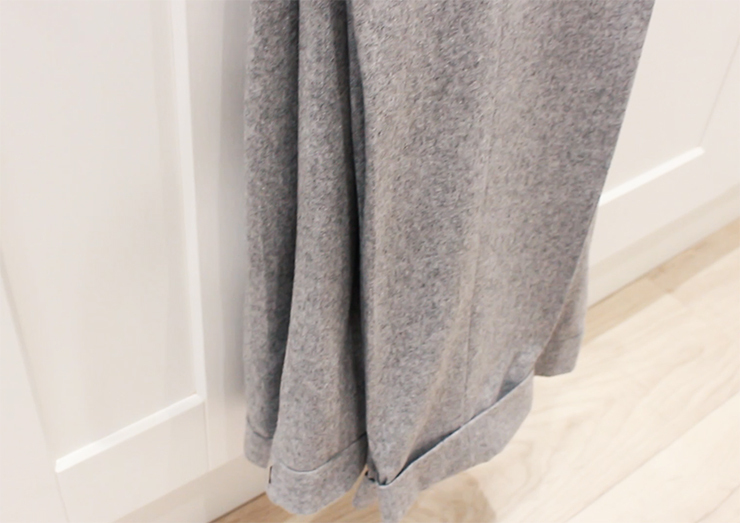 This was of course a very fine fabric, and the colour alongside the lighter-weight meant it would be something I could wear in winter months but also, in warmer seasons. After choosing the fabric, it was then time for measurements. This didn’t take long, and once complete Mikhail put the measurements into the system. 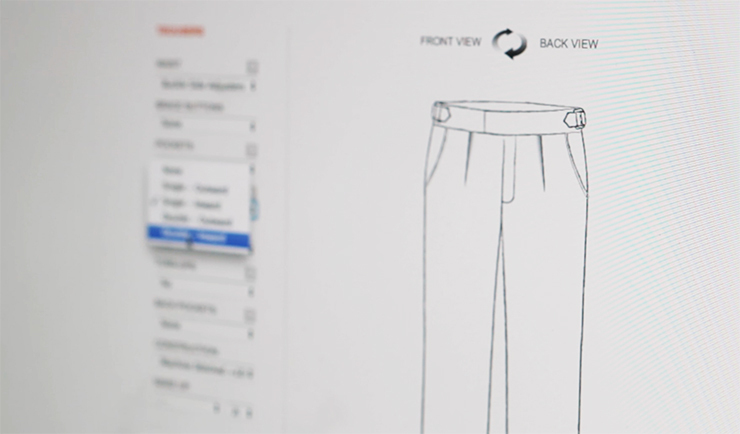 Then came the final details, choosing the style of the trousers. Including a turn up (and what size), whether I wanted side adjusters, belt loops, a front pleat… the options go on. I went for buckle side adjusters, internal buttons, fully hand stitched, no back pockets and a 1 3/4″ turn up. Buckle side adjusters, internal buttons, fully hand stitched. 1 3/4” turn ups, no back pockets. With Mikhail guiding me through each option and advising on the benefits of each, the final pair were decided on… ready for production. In less than 2 weeks, I was back in Cad & The Dandy to try on a pair of trousers. These were of course, not the finished garment but they were a pair made to the measurements taken. Wearing them, the tailor could then see what adjustments needed to be made. 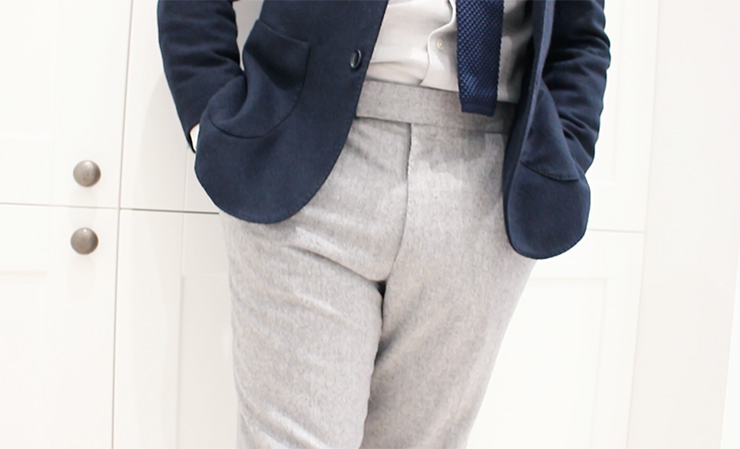 The key area that needed changing was the length of the trousers, also with some adjustment being made to the waist. This fitting was quick, and the adjustments to the measurements were passed on ready for production. I was called back in around 4 weeks after, this time, to see the final garment. Personally? If this was made-to-measure or off the rack I would’ve been happy. But as advised by the tailor, some alterations needed to be made to the tapering of the trousers and the overall length. 1 week later, I was called in again. The fit this time was perfect, and so were the trousers. They were put in a suit bag, we shook hands, and I was on my way with a new pair of bespoke trousers… straight from Savile Row. 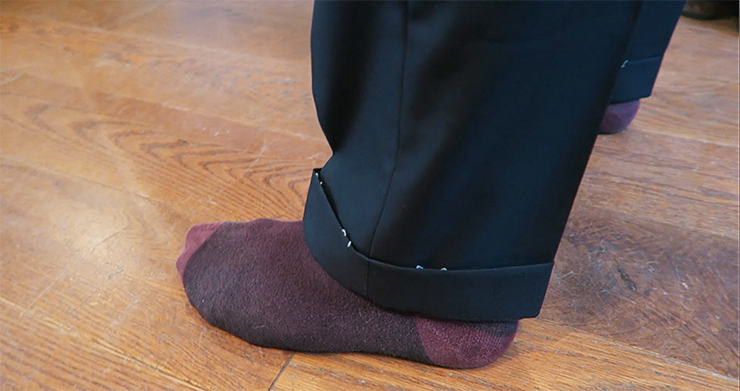 As you can see from the pictures, the chosen trousers are extremely comfortable and can be dressed up and dressed down. The fit? For me it’s on point but what’s more important is the comfort. Wearing these trousers, even though they look elegant, makes it feel like I’m wearing tracksuit bottoms! They’re super comfortable, elegant and versatile. From the beginning all the way to the end, the service provided was second to none and everything would’ve been done until I was completely happy with the fit and garment. As side from the trousers looking good, what’s far more important for me is just how comfortable they are. In the past, I’ve had trousers that look good and fit well but when wearing them they restrict movement and are uncomfortable to wear. 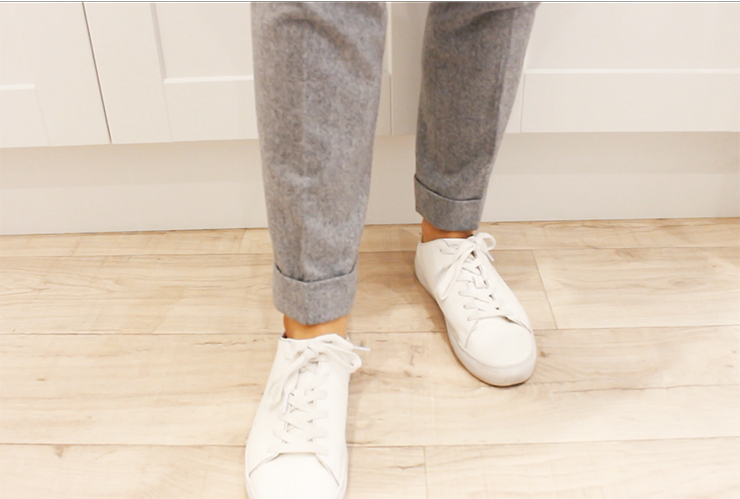 As they’re uncomfortable to wear, I often shy away from wearing them reverting to something more comfortable such as jeans or looser fitting chinos. These definitely will be my ‘go to’ for a while, and I’m definitely going to look to add another bespoke pair when budget permits! Thank you to Mikhail and the whole team at Cad & The Dandy for the service provided. 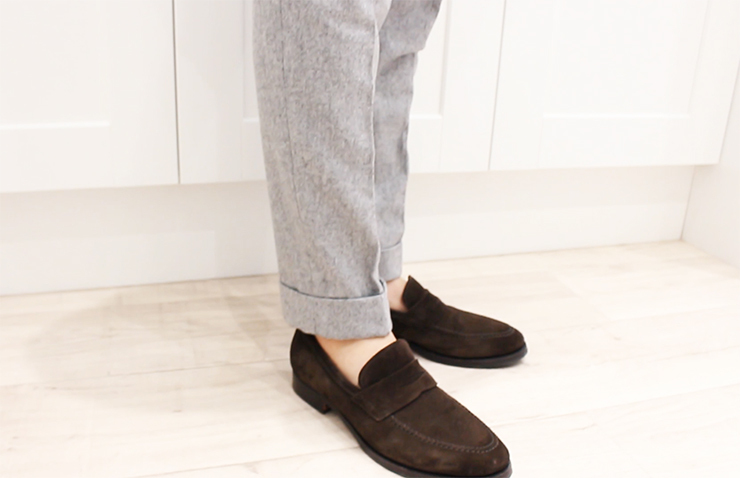 Trousers start at £230, and prices vary dependent on the fabric and style chosen. Find out more at Cad & The Dandy.